Are you among jamb candidates who sat for the 2019/2020 jamb? If yes then you can now check your results online using any of the method we are going to discuss today. In this article there are certain things you must know about the 2019/2020 jamb released results before showing you the step by step guidelines on how to check it. First checking of jamb results remains free of charge. You are not supposed to pay any fee or any one before you check your results, except you are checking it in a business center where the operators ask you to pay for a service charge fee. 3 You Do Not Have Any jamb Result Yet! What to do? 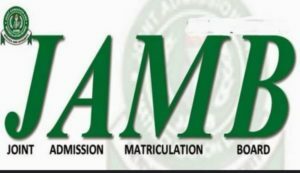 5 JAMB 2019/2020 Results Out, What Next? You can now check your 2019/2020 jamb results using any type of device that has the ability to connect to the internet without any problem. This could be your Android phone, blackberry device, iPad. Windowsl phone, laptops and desktop computer. All this device i mentioned above has the ability to check results. All you have to do is just to subscribe to any of the network so that you will be allowed to connect direct to jamb result checking portal. After taking your exams in jamb accredited center, carefully follow this simple step as outlined by the joint admission and Matriculation board jamb so that you can be able to see your result live. A space will be provided where you will be prompted to input your PIN, Serial No or Reg Number. You Do Not Have Any jamb Result Yet! What to do? We have gotten information that a lot of candidates are having problems checking their jamb results while other are being told they don’t have any results yet. If you find your self in such a situation you don’t have to panic, it might be that jamb is trying to see if you or your center abide by the rules and regulation set by jamb. All you have to do is just to wait for like 2 or 3 days then check back. If it persist you can still wait for like a week, jamb will surely bring out or release your result. Last year i have a friend who found him self in such a situation and he always call on me disturbing about his results. I just told him to wait and pray. After a long while he was able to get his results. The truth of the matter is that every CBT centers as at today has been connected to CCVT cameras and its being recorded as the exams is going on. Jamb reserves the right to carefully watch this videos and determine if truly your center follows or abide by all rules. Click on the box that says “Check 2019 UTME Examination Results”. Those who can’t still get their results should note that the joint admission and Matriculation board jamb release results in batches, it could be that your results is among the next results that is being uploaded right now. JAMB 2019/2020 Results Out, What Next? For those who have been able to see what their score is congratulations. We know that not all we be able to get their desired marks. Actually some might hope to score 280 while others might aim very high but were only able to score 200 or 180 or something smaller. No matter what your score is, it can still get you going, secure an admission into any tertiary institution in Nigeria if only you know what next to do after jamb results. First you have to go through he jamb central admission system jamb CAPS and understand how it works. Secondly you have to quickly check your school cut of mark and if possible check the departmental cut off mark. Follow all our post utme update on our site here because we are covering over 85% of institution in Nigeria. Don’t forget to check your institution school fees, acceptance fee or accommodation fees. There is a new method introduced by jamb now, this new method will help you check your admission status as fast as possible on jamb portal. We understand that after checking your jamb results online the next step is to sit for post utme exams before you can start checking if you have been offered admission or not. So follow this rules and start checking now. You have to login with your Email and Password. If you don’t have a jamb profile create one now. If you have been offered admission by jamb or by your institution , either Click on any buttons, if only you like the institution and the course you have been offered. If you have any question to ask please use the comment section.